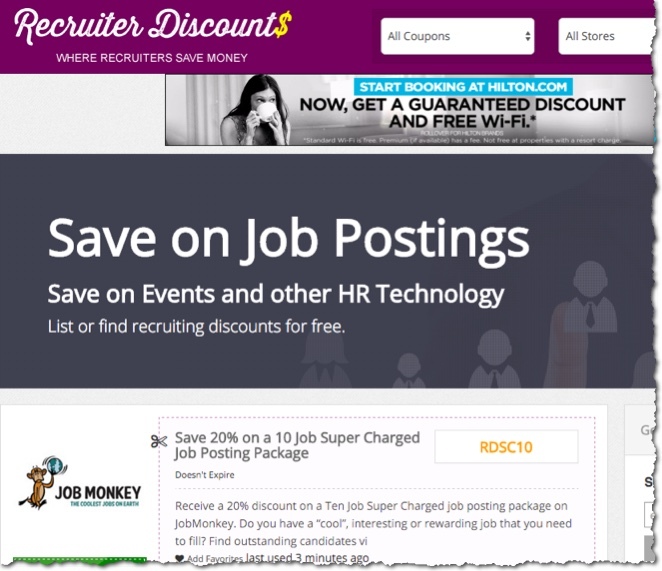 I recently began to work on RecruiterDiscounts.com to help job boards (and other recruiting tech vendors) to get more leads. Think of it as “Groupon for Recruiters“. As a job board you can list a promo code, describe your offer and link back to your site. It’s free and you can also upgrade to featured status for a few bucks. I’ll be officially launching it in a few weeks to 10,000 recruiters so now would be the best time to add your discounts before I send out my email blast.